Slightly smaller than a standard A7 card, 4 7/8 x 6 7/8 blank insert cards are pre-cut perfectly to fit inside of our A7 5 x 7 pockets, petal fold pochettes, and gate fold wraps with no overlap. 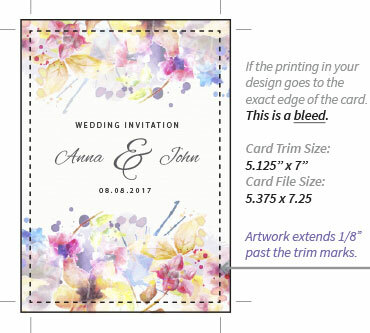 You can also use them on top of A7 5 1/8 x 7 blank cards to create a layered invitation with a very subtle border. Choose from a variety of colors, textures, and finishes to create a unique design, all your own! 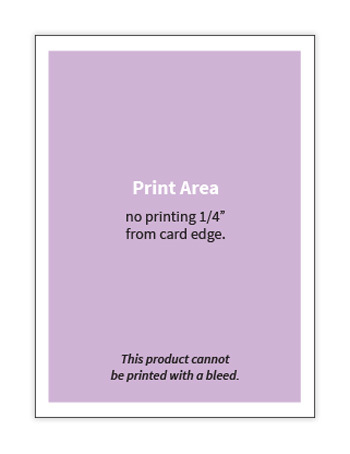 As all cards have varying weights, textures, and finishes, please consult the printer information beneath each product image for printing recommendations. 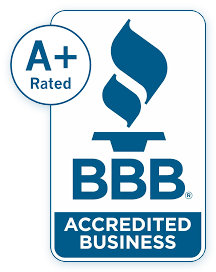 We also encourage you to order samples to test print prior to purchase.